Are trackless trams the future transport solution for Fremantle? There has long been a debate between the merits of trams/light rail (LRT) vs rapid bus (BRT). Personally I have always been a strong LRT advocate as global evidence is that it has led to higher ridership and encouraged better land uses and urban development along the transit routes. But this emerging trackless trams/ART technology has the potential to offer the best of both worlds. While there is some way to go in being confident that trackless trams/ART can offer all the benefits of LRT, it is a technology that may create the breakthrough that is needed in providing a proper second tier, fixed route public transport service. A route where this technology may be a good fit is along South Street – linking Fremantle with Murdoch University and Hospital. This would enable major trackless trams stops at Kardinya, Samson, Hilton and Heart of Beaconsfield. At around 10% of the cost of LRT, it may be a project where we can get State Government support for funding in a way that was looking challenging with LRT. As the Fremantle Council has advocated for many years as part of Freo2029, better transport links to the south and east of Fremantle are essential to our future. Frankly, rapid bus transit was never going to cut it if we wanted a substantial increase in patronage and quality urban development along these routes. LRT was definitely the best option but maybe, just maybe, there is a new, cheaper option that can be realized a whole lot quicker. In recent years a false choice has been asked of Fremantle and its working port. First, a few years ago Fremantle was asked to accept the Perth Freight Link – a tunnel that ran from Roe 8 to High St and would supposedly enable Fremantle Port to triple in size to over 2 million containers a year. I am glad the community won this campaign. More recently, however, Fremantle has been told it must now give up its working port to Kwinana and accept just been a tourist and novelty port. In the Fremantle Council’s view this would see not only Fremantle’s history and identify substantially eroded but a major loss of economic activity just at a time when Fremantle is rebuilding and diversifying its economic foundations. Both the PFL and moving the whole of the inner Fremantle port to the outer harbour in Kwinana are bad choices to Fremantle. They are also bad choices for the state and would require a huge infrastructure investment in the billions of dollars. The PFL was costed at around $2 billion. An outer harbour is likely to cost between $4 and $6 billion. But there is a more sensible third way, a middle way between an oversized port and none at all. Container handling should be maintained at North Quay, provided the associated land-side transport arrangements have no greater impact on the local community than current port operations. To facilitate this, car imports and other freight shipments coming through Victoria Quay should be transferred to another location such as the Outer Harbour as soon as possible. This approach is not new. It is actually the approach that has been at the heart of Fremantle Port’s and the State Government plans for most for the last decade as can be seen from this graph from several years ago by Fremantle Ports. This third way is also a cheaper option. It will require an investment in a replacement for the old Fremantle Traffic Bridge so that it also includes a dedicated freight rail line. But the old bridge needs to be replaced anyway. There is great opportunity to create a Fremantle High-line with the old bridge too as Josh Wilson recently outlined. It will also require smarter use of our current freight network so that quieter, cleaner trucks run fully loaded and more often in off peak hours. This is not to argue that an outer harbour will not be required. It most likely will and we should plan for this as is pleasingly happening with the Westport Taskforce. But there is no need to rush into making a one of Perth’s biggest ever infrastructure investments. There has been slow container growth over the last 5 years and there is considerable uncertainty around the growth in imports by volume. Much of what we consume is getting smaller. There is also the potential for the relocalisation of some manufacturing. The Fremantle Council has been consistent in its support for both a working port in Fremantle and for the necessary long term planning for an outer harbour. We have long argued that the port infrastructure investments should be broken down into smaller, more sustainable bits and that we should start with the moving cars off Victoria Quay. Fremantle Port needs to evolve but let’s not hurry into expensive and damaging solutions whether it be the PFL or moving Fremantle Port in its entirety to the Outer Harbour. We have the time to invest carefully and wisely and find a better third way. The Heart of Beaconsfield project is being led by the City of Fremantle in cooperation with the Department of Communities and other partners to coordinate the redevelopment of the area around the Davis Park precinct, Bruce Lee Oval, Lefroy Road Quarry and the former South Metropolitan TAFE site. A key question to be settled in planning the Heart of Beaconsfield is the best use for Bruce Lee Oval and the Lefroy Road Quarry. The quarry site has the potential to provide 1.5 times more green space than the oval, so there’s an opportunity to develop new and better sporting facilities on the quarry and allow for some new diversified housing on the oval. South Street is an important public transport corridor and it makes sense to have residential development close to public transport, while the quarry site is vacant land and there’s not a lot it can be used for. At this stage we don’t know if it’s technically or financially feasible to relocate the oval, so before we finalise the draft masterplan we’re conducting the feasibility study to find out. If the study shows the relocation of the oval is not feasible that will be the end of it and the oval will be retained in the draft masterplan. If it is feasible this option may be put forward for further consultation. The newly released interim masterplan prepared by the City draws on the concepts and ideas provided during an extensive community engagement process last year. There are a lot of positive changes happening in Beaconsfield. South Fremantle High School has become Fremantle College, the Housing Authority would like to update and build new homes in the Davis Park precinct, Activ Foundation is looking at updating its facilities and there’s an opportunity to redevelop the old TAFE site and the Lefroy Road Quarry,. The aim of the Heart of Beaconsfield project is to create an over-arching masterplan that will help to guide the development of the various different sites in this area, and ensure that when these changes happen, they happen in a coordinated way. We’re releasing the interim plan to provide an update on progress so far. It shows aspects of the draft masterplan that are resolved and leaves question marks on the elements that still require further consideration. The oval feasibility study will take up to six months. The full Heart of Beaconsfield draft masterplan is expected to be released for public comment in mid-2019. Fremantle will become strawberry central this Sunday 23rd September in a show of support for WA strawberry growers. 25,000 punnets of local strawberries will be delivered to restaurants and cafes along the Cappuccino Strip, who will be encouraged to create strawberry-inspired dishes and give away strawberries to customers. There will also be family-friendly events including face painting, live music and more. Strawberry Sunday will run from 12 noon to 3pm. Politics in the Pub: Is Fremantle really walk-friendly? The Fremantle Network’s monthly Politics in the Pub aims to combine the enjoyment of the convivial pub experience with energetic political discussion. The topic for Tuesday September 25th: Is Fremantle really walk-friendly? Most people agree that a city should be designed to be attractive and welcoming to pedestrians. Does Fremantle achieve this? A more walk- friendly design may also have negative consequences, for example by increasing, traffic congestion or removing car parking away from business. Does a walk friendly city mean a better city? Join us to debate these questions in a casual pub environment at The Local Hotel, 282 South Terrace, from 6.30pm on Tuesday September 25th. 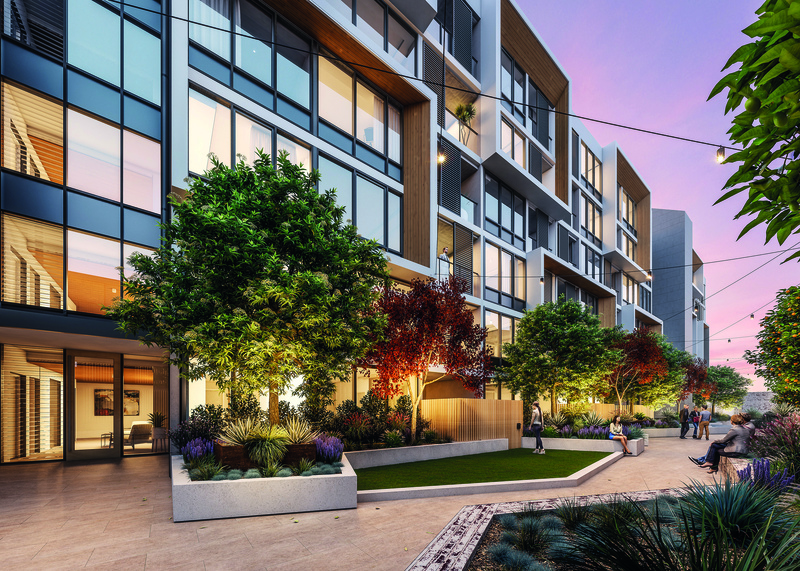 Well done to the three apartment projects in Freo have been recognised for their impressive designs at the 2018 UDIA WA Awards. Congratulations to The Cove by Blackburne, Liv Apartments by DHA and Evermore WGV by Yolk. All projects that are raising the residential quality bar in WA. 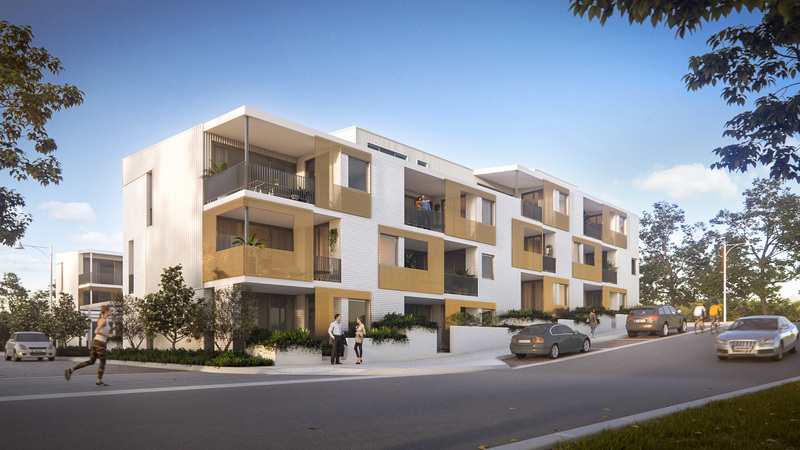 The Medium Density Development award was presented to Blackburne Property Group for The Cove in North Fremantle. “The Cove has been embraced by the downsizer market seeking a high end apartment with minimal ongoing costs and fees,” Ms Hailes said. 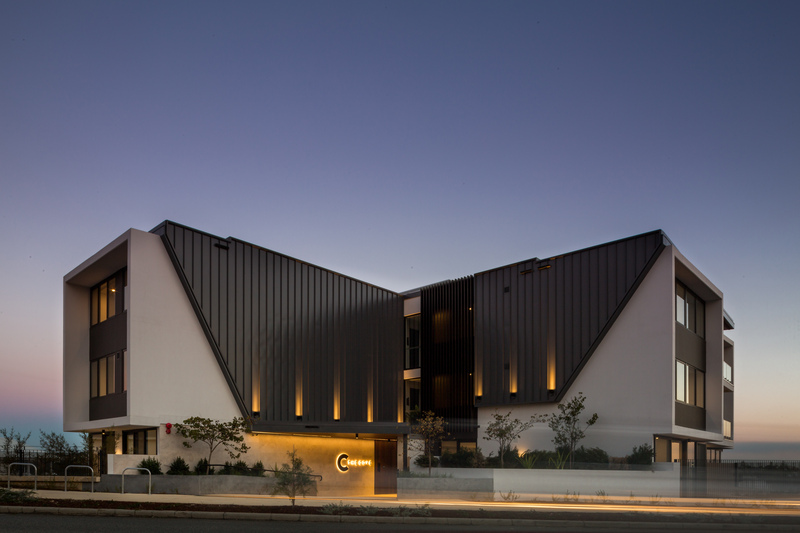 The High Density Development award went to Defence Housing Australia for their Liv Apartments project in Fremantle. The project has transformed a disused carpark into an attractive apartment complex featuring an average 7.5 star energy rating and utilised over 10,000 recycled onsite bricks. It is also one of less than 20 One Planet Living endorsed projects worldwide. The Affordable Development category went to Evermore Apartments – WGV by Yolk Property Group. “This innovative project demonstrates passion and leadership in the installation of solar and battery storage systems and innovative governance systems that allow apartment owners to sell electricity to each other,” Ms Hailes said.